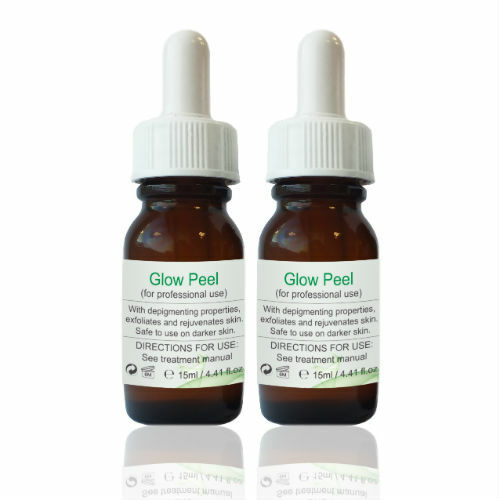 At The Hub New Mills we offer a range of Chemical peels to suit most skin types and conditions. For best results we recommend a course of treatments. We specialise in Skin Peels that involve applying a non-toxic chemical solution to the skin that removes the top layer of dead skin cells and encourages new ones to grow, revealing the softer, smoother skin beneath Below are the products we use and the skin conditions they target. The Refresh Peel contains the smallest and most effective alpha hydroxy acid, derived from sugar cane. It exfoliates the epidermis, promotes epidermolysis, and stimulates the growth of new skin. It safely removes the outer layer of dead skin cells, bringing fresh, new skin to the surface. Phytic acid protects against inflammation by blocking free radicals and increasing antioxidant functionality. It is also able to protect DNA from free radicals. It can enter cells and help DNA repair breaks in the strands. Kojic acid is derived from a variety of fungi and organic substances and is used to diminish dark areas resulting from excessive pigmentation in the skin. It inhibits the activity of tyrosinase and prevents the formation of melanin. The CLINICCARE Pure BHA Peel is a light superficial chemical peel that will remove the upper layers of the epidermis (pH 2.4). Derived from willow tree bark, this has keratolytic, comedolytic, anti-inflammatory and antiseptic properties. 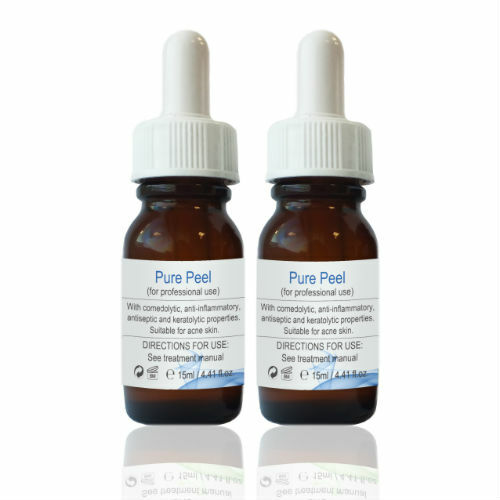 Its lipophilic properties enable the salicylic acid to penetrate and dissolve sebum, making it a highly effective therapy for acne. In addition, it has anti-inflammatory properties which make it suitable for sensitive skin conditions, such as rosacea. Salicylic acid has a mild anaesthetic effect compared to AHAs. The mildest of alpfa hydroxy acids, it has water binding properties and stimulates collagen synthesis. This exfoliates the epidermis, promotes epidermolysis, disperses basal layer melanin and stimulates the growth of new skin. Glycolic acid also reduces the amount of surface skin oil. This alpha hydroxy acid is derived from bitter almonds. It has depigmenting properties, inhibits melanin synthesis, exfoliates and rejuvenates skin.